Past the back alleys of Gotham, something is waiting. Deep in the darkness, he lurks, ready to strike fear in the hearts of criminals. Illustrator Hainanu "Nooligan" Saulque found him, brought him to the deep chambers of DC Collectibles and gave him a form with a style unlike you've ever seen. 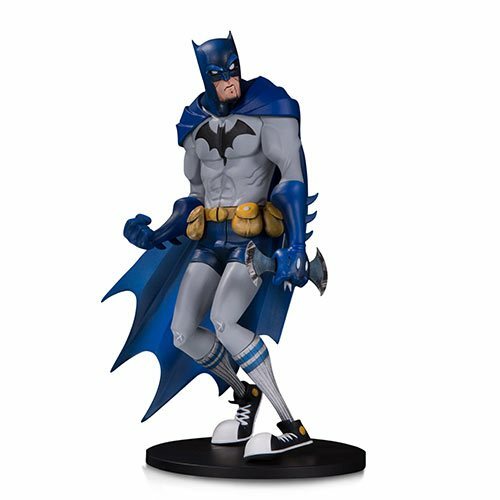 The DC Artists' Alley Batman by Hainanu Nooligan Saulque Statue comes in at 1:11 scale and stands 6 3/4-inches tall in vinyl. Ages 14 and up.